Thank you to Meijer for sponsoring this post! 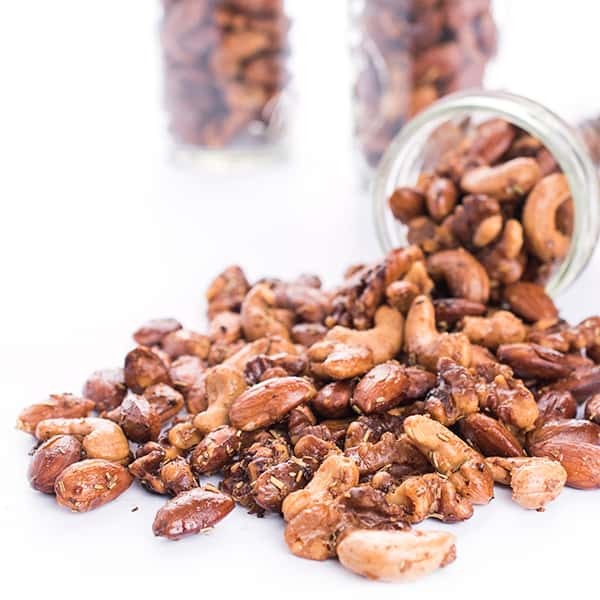 The ultimate party appetizer recipe or edible gift, these sweet and savory mixed nuts are always a crowd pleaser! 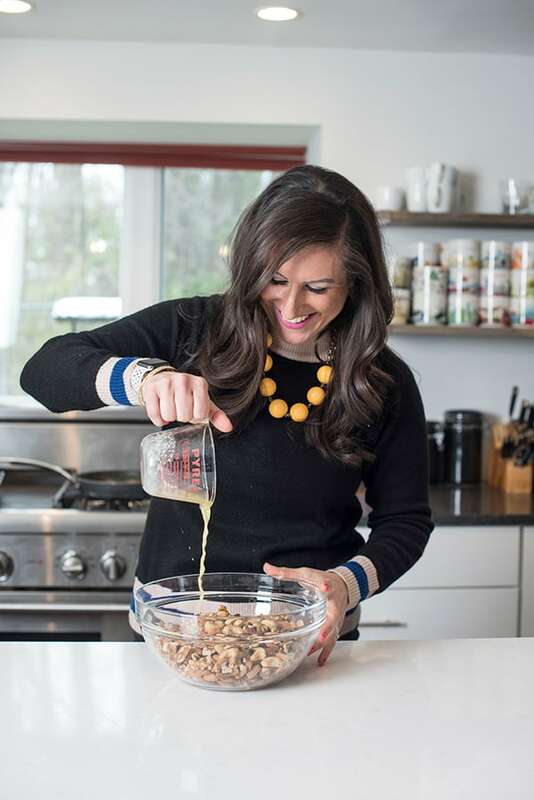 With the holiday entertaining season in full force, I’m always in need of easy hostess gifts, appetizers and goodies to pass out to friends and family. 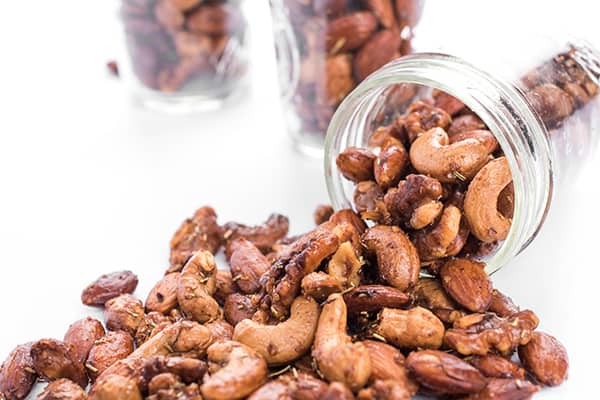 These sweet and savory mixed nuts are not only easy to make, but they are packed with heart-healthy True Goodness nuts including cashews, almonds and walnuts. The nuts are roasted in a little butter then tossed with a brown sugar, rosemary and other spices. 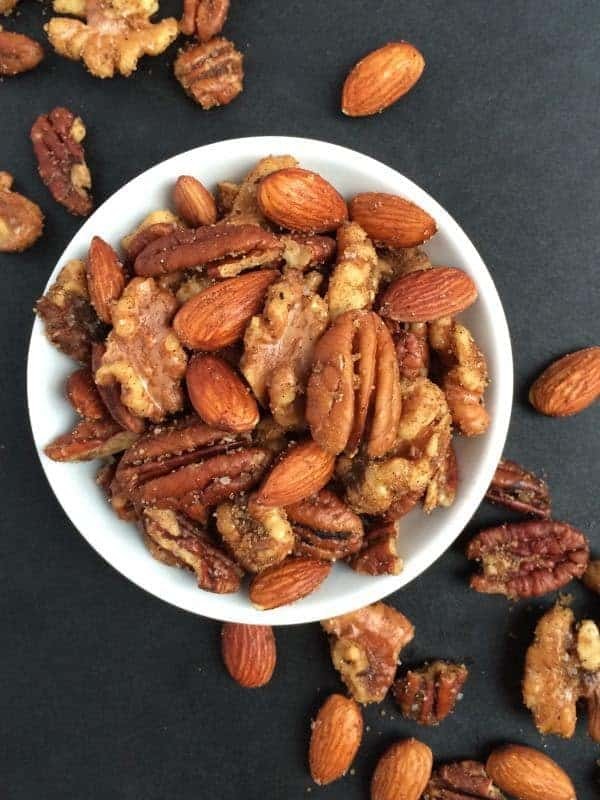 They take just minutes to prepare making these sweet and savory mixed nuts the ultimate last minute party dish or make-ahead hostess gift to have on hand all season long. Don’t have these particular nuts? No problem! Any type will work including pecans, hazelnuts and more. Just do yourself a favor and make an extra batch to keep for yourself. You’ll be so glad you did. 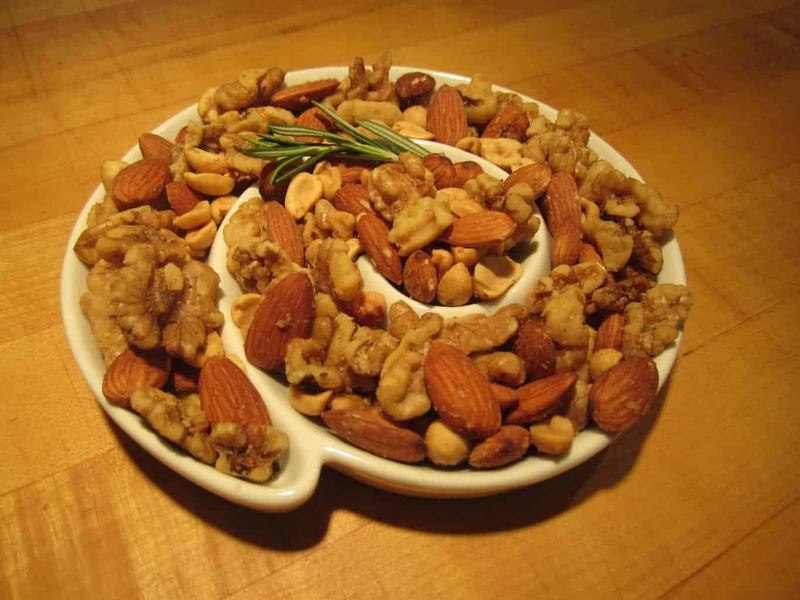 The ultimate party appetizer or edible gift, these sweet and savory mixed nuts are always a crowd pleaser! Mix nuts with melted butter in a large bowl then spread in an even layer on baking sheet. Roast for 15 minutes or until nuts are lightly toasted and brown. Return nuts to the same bowl and toss with remaining spices (brown sugar though cayenne) then serve warm or store in air-tight container for up to 10 days. Love the sweet and spicy combo! This is great for an edible gift! I’m hosting a holiday brunch this weekend — I need to make a batch of this! I eat nuts every single day. 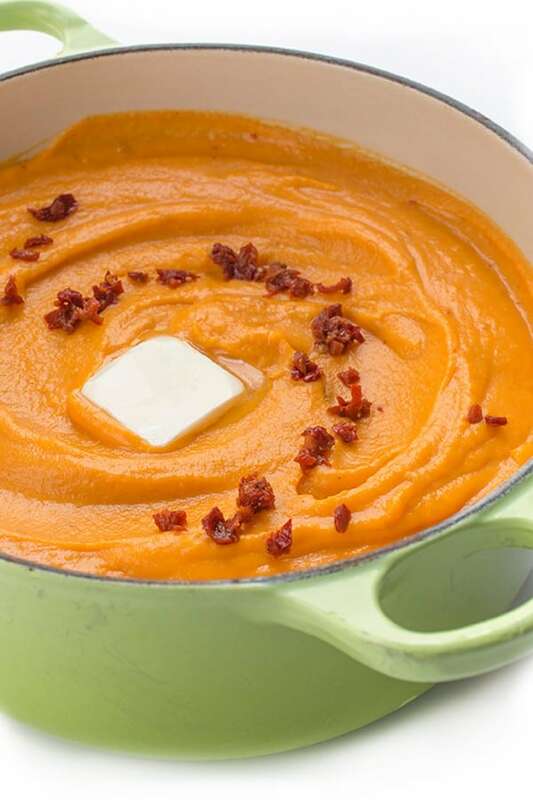 This recipe is such a fun way to enjoy them! The perfect party food! I love the sound of these. These sweet and spicy mixed nuts look so delicious and addicting! I could snack on these all day long! I am a SUCKER for anything sweet and salty! I could snack on these all day!